Boston, April 15, 2016, Attorney Martin B. Gold, author of Forbidden Citizens, will give a lecture about his book at Tufts University on April 29. This event is sponsored by the Chinese American Citizens Alliances(CACA) Boston Lodge, and hosted by Tufts University. Other sponsors include East Boston Savings Bank, Harvard Pilgrim Health Care, the Greater Boston Group of Morgan Stanley. 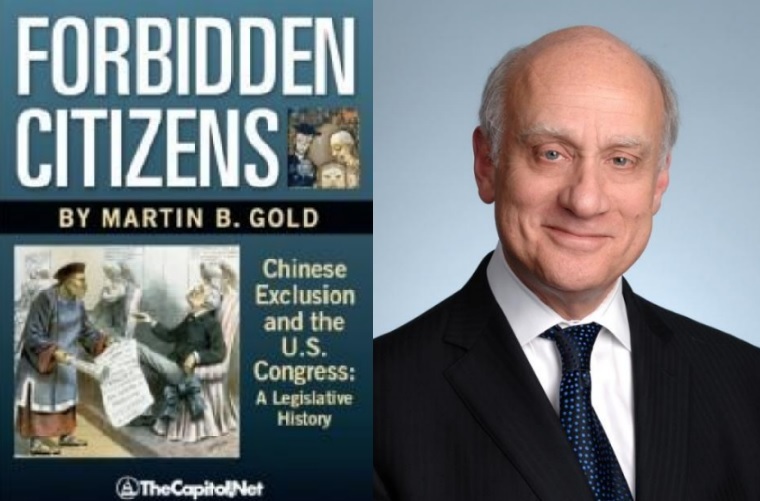 Following passage of Senate Resolution 201 on October 2011 and House Resolution 683 in June 2012, expressing regret for the Chinese exclusion laws, Covington & Burling LLP’s Martin Gold penned Forbidden Citizens: Chinese Exclusion and the U.S. Congress: A Legislative History, a book that for the first time traces the timeline and background of those laws. Acting pro bono on behalf of the Chinese-American community, Covington helped to secure adoption of the resolution. In Forbidden Citizens, Mr. Gold documents the legislative debates and actual texts of the nine exclusion measures, quoting both supporters and opponents of the bills in full detail. If you have any questions about this lecture, please send email to cacabostonlodge@gmail.com. For more info about CACA Boston’s activities, please visit: www.facebook.com/CACABoston.